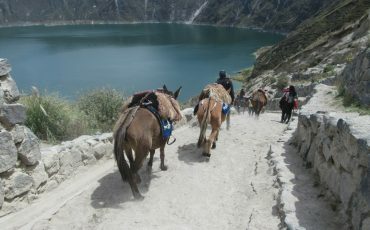 The Quilotoa Loop Trek shows you the west of the province Cotopaxi. 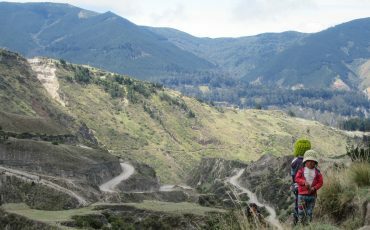 It starts in Zumbahua and leads to the traditional Andean villages Insilivi and Chugchilan. 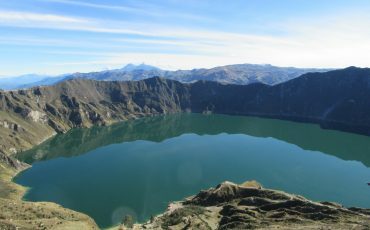 Along the route you will get to know different landscapes and vegetation zones, always close to the spectacular Quilotoa Crater Lake. A highlight will be to meet the inhabitants of the region and to see how they live in their traditional loam and straw thatched houses. The trekking offers an exciting insight in the life and the landscape of the Ecuadorian Andes with an interesting combination of natural and cultural experience. This area is mostly dry, especially from December to February as well as in summer it rarely rains. The months July and August are often windy with a lot of dust is in the air. In the rainy season from March to May it’s raining 2 – 3 days per week, night frost can occur up an altitude of 11,480 ft.
At arrival at the international airport in Quito, your guide picks you up and takes you to the hotel in the heart of Quito. If your tour starts on a Saturday, you will have the chance to visit the market of Zumbahua in the early morning. The indigenous inhabitants of the surrounding villages come to sell animals, local products as potatoes, beans and different vegetables. Also retailers of lower regions bring their products like rice and plantain from warmer climate zones. To linger over the market with its colorful dressed indigenous people will be an extraordinary experience. On all the other days, the tour begins in Tigua. 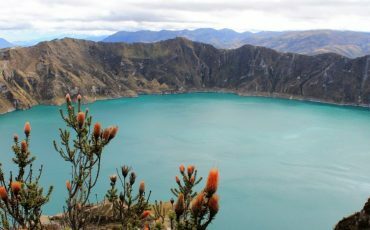 After the market visit you will start the first part of your trek from Posada de Tigua to the beautiful crater lagoon Quilotoa. On your way along the sandy and dry flat you will pass a lot of cactuses, small houses and flocks of sheep with their shepherds. You will enjoy a fantastic view over the canyon. 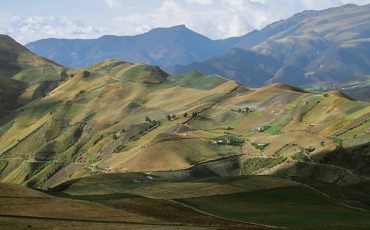 When you go down you will reach a nice village from where you can see the beautiful surrounding of Zumbahua behind you. The way takes you down to the valley of the river Zumbahua (10,826 ft.), before your go up again to the breathtaking edge of the canyon (11,482 ft.). 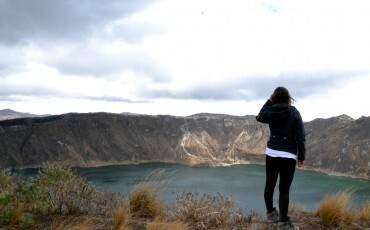 From there you reach the crater lagoon Quilotoa and its same named village at a height of 12,795 ft. You will spend the night in a hostel of a local family, a simple but comfortable accommodation. Your journey goes on with a fantastic hike to the village Chugchilán. The first hour will take you along the left crater edge and through the “paramo” landscape with rock formations, which are the result of erosion, wind, rain and animals. 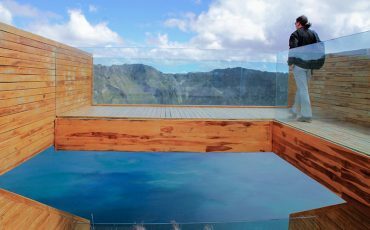 Enjoy the view over the deep blue crater lagoon under your feed and get a glance at one of the highest volcanos of the world. 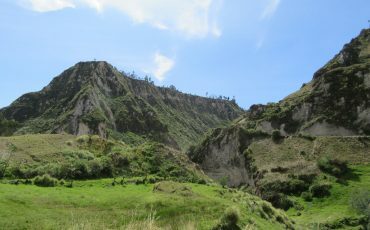 Afterwards we will leave the crater and start to go down a sandy track to the indigenous village Huayama. You will pass the traditional houses of the inhabitants and the colorful fields which create a wonderful mosaic of the landscape. Behind Huayama the tour will go on to the canton Sigui (9.482 ft.), where you have a nice panoramic view of the canyon and the village Chugchilán. A steep way down will lead you to the river Toachi. You will cross the water and go up again until you reach Chugchilán (10,499 ft.). 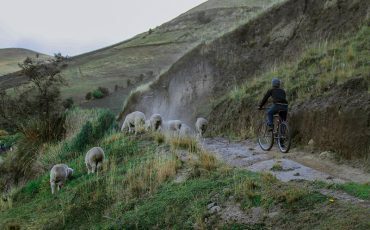 In this Andean village you will stay the today’s night in a small hotel. Walking period: about 4 – 5 hours. Today you leave Chugchilán and walk towards Sigchos. On your way you will pass a small village and continue your journey to the river Toachi. Going along the left bank we will reach a suspension bridge where the ascent up to the village Insilivi starts. Enjoy the walk through the beautiful landscape and the colorful gardens of the local families. On this diversified trekking you will meet indigenous people, who are on their way to the fields or are herding their animals. The beautiful green countryside, as a result of the high number of rivers and streams leads you to Insivali at the end of this day. The program of today is relaxed. After a delicious breakfast in your hotel you will go with your guide down to the river Toachi again. Enjoy the awesome canyon and walk along antique ways of the indigenous rural population to the village Sigchos. Here the trekking tour ends and we head back to Quito. Walking period: about 3 – 4 hours. Breakfast at the hotel. Depending on your flight, private transfer to the airport in Quito. 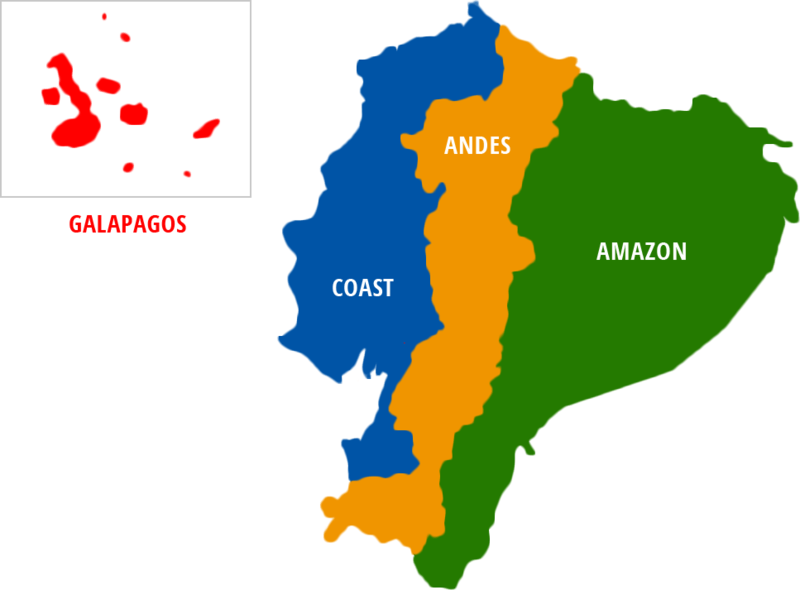 Or maybe you book a trip to the Galapagos Islands with us and your tour goes on with the next adventure! 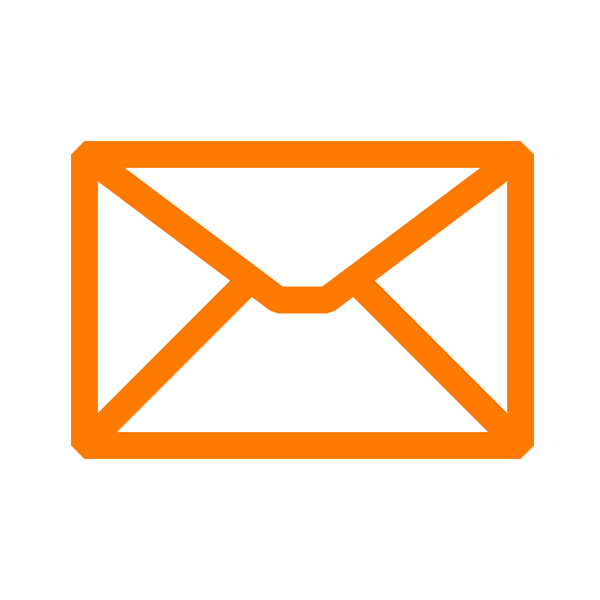 Single supplement fee: USD $120,-p.p.